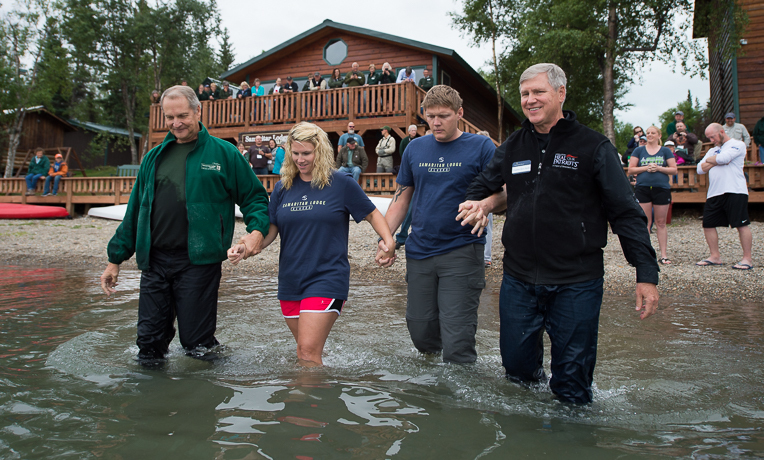 Brandan and Chelsey Taylor were baptized in Lake Clark by two of our staff chaplains. A Marine couple steps back from the brink as God works in their lives while in Alaska. 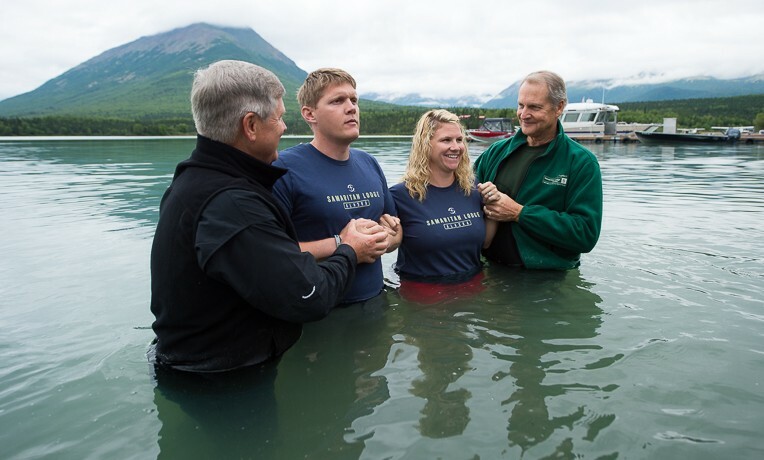 Marine Staff Sergeant Brandan Taylor and his wife, Chelsey, of Sneads Ferry, North Carolina, ended their Operation Heal Our Patriots week at Samaritan Lodge Alaska by getting baptized together and rededicating their marriage to God. It was an amazing turn of events, as just the week before Brandan had told Chelsey, “Take me to the courthouse—I’m done.” A year of fighting culminated in thoughts of divorce. Samaritan Lodge guide Carlin Toews assists Chelsey Taylor as she lands an Arctic grayling. Married for nine years, the Taylors have only spent a year and a half in the same location due to Brandan’s various trainings and deployments with the Marines. 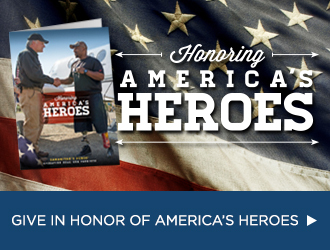 Serving six tours in Africa, Southeast Asia, and Afghanistan, Brandan was awarded two bronze stars with valor. His body paid the price. In 2014, Brandan’s unit was on a helicopter raid in Afghanistan that included a more than eight-mile hike to a village using night-vision goggles. Brandan slipped on a patch of ice and fell with his 150-pound pack, hitting his head and going unconscious. “I refused medical attention from the corpsmen, because I was hard headed,” Brandan said. He completed the remaining three months of his deployment by utilizing pain pills available on the local market. 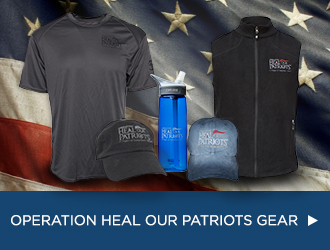 A month after returning from Afghanistan, Brandan had two magnetic resonance imaging exams that revealed nerve damage to both of his legs and the need for four knee surgeries. His fall also left him with traumatic brain injury. As he settled into life at home, Brandan’s memories of an earlier attack in Afghanistan in 2012 began to plague him. Afghan security forces that were being trained by the U.S. turned on them and killed two of his friends, Navy Petty Officer First Class Darrel Enos, a hospital corpsman, and Marine Staff Sergeant Greg Copes. Brandan remembers it vividly. He said, “One of the Afghan local police turned his weapon and, on full automatic, shot my best friend in the face and my corpsman in his side.” Brandan tried to treat both men, and Darrel died in his arms. Without steady deployments, post-traumatic stress disorder (PTSD) set in. The symptoms intensified and Brandan’s suicidal thoughts colored their Thanksgiving and Christmas holidays. 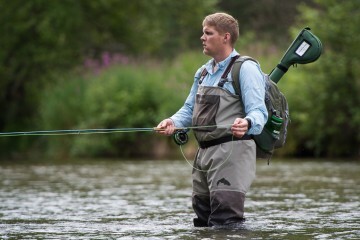 Brandan fishes the Kijik River while in Alaska for Operation Heal Our Patriots. Looking back on that time, Brandan said of Chelsey, “I love her to death. I never tell her that enough, because I was never home enough. So what I did during the past year was rack up $50,000 of credit card debt to try and buy my way back into her and my children’s lives.” Their subsequent bankruptcy was another stress on their marriage. But coming to Samaritan Lodge Alaska, things began to change. “We made the commitment on Monday to bring God back into our lives,” Chelsey said. It was a great beginning to the weeklong marriage enrichment program. Yet while bear watching, fishing, and hiking together in the beautiful Alaskan wilderness, Brandan’s injuries kept him in pain. The braces he wears on his legs caused him to go up hills on his toes and down them on his heels. But being the Marine that he is, he wouldn’t quit. As a result of God’s work during the week, Brandan and Chelsey are not about to quit on their marriage either. The various Bible-based marriage classes and exercises held during the week opened the door for that communication to be restored. Chelsey really appreciated the practical lessons about their upbringings and personalities. “It helps us be aware of why we get into fights for the littlest things,” she said. A fresh relationship with Christ offers them strength for what’s ahead. Now, instead of fighting one another, with God’s help, they are fighting for their marriage.